There’s a new denim kid on the block in Kojima. For those of you whom aren’t hip to the reputation of Okayama Prefecture — this small region is often referred to as ‘The Birthplace of Denim,’ and for good reason. A hub for denimheads from all around the world, Kojima has always emphasized excellent craftsmanship and high quality. Today, it sees a huge number of factories, often using both old-fashioned and modern looms to create vintage-inspired selvedge denim. 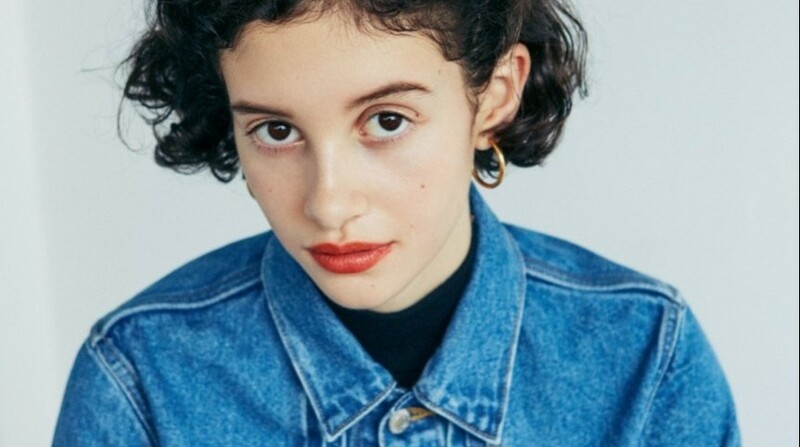 JAPAN BLUE Co. LTD, the company behind cult brands Japan Blue Jeans and Momotaro Jeans, is at the forefront of this wave. While much of the product coming out of Okayama Prefecture and JAPAN BLUE has been male-oriented, JAPAN BLUE’s latest venture URVIN sees a logical shift towards an incredibly lucrative market — young women. It feels like an important shift for Kojima, one that’s bound to give Okayama denim a real seat at the table in the world of women’s fashion. As support for sustainably manufactured, durable clothing filters into everyday womenswear, mass-produced megabrands (you know the ones) are having their judgment day. It’s becoming harder to ignore the fact that the true price of fast fashion goes far beyond what’s on the tag. Keeping up with trends is one thing, but is it enough to save on a pair of jeans if they’ll only need to be tossed out after just one season? Okayama denim, including URVIN, represents a change of pace the fashion world has been longing for. For these reasons it’s no wonder Japanese design is more appealing than ever. The qualities it’s famous for — great fabrics, strong silhouettes, attention to fine detail and a focus on customer needs rather than making huge profit — are epitomized in URVIN. “We pride ourselves on our products and choices, and hope that our products are considered by those who seek high quality and comfortable jeans,” says Muroyama. Made in lush, rich colors, each piece of soft denim is beautifully balanced; strikingly stylish, yet subdued enough to wear comfortably every day. Perhaps rather than ‘trendy’ we should call them a ‘trend staple,’ since, like a good quality blazer or trench coat, a piece of URVIN can be loved for years. Still, the conscious dresser should realize that affordable fast fashion and independent labels are both vital components of the fashion ecosystem. As JAPAN BLUE reminds us, condemning trend-churning fashion conglomerates would mean disregarding the way they democratized fashion. “We believe that the achievements fast-fashion companies have left in spreading the recognition of jeans has been great. For people who have never worn jeans, we think that it is a great window to promote cheap jeans for wearing,” explains Muroyama. As the company puts it, URVIN denim can and should sit proudly alongside your other jeans, and is versatile enough to wear with anything, from second-hand to high-end. At long last, ‘The Holy Land of Jeans’ welcomes trend-focused women’s fashion into the fold. 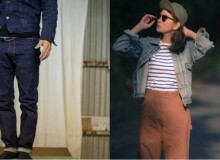 If URVIN’s adorable wide-leg jeans or denim overalls are anything to go by, pretty soon Kojima’s infamous ‘Jeans Street’ might also see an influx of Instagram fashion influencers sauntering down the sidewalk. Shopping for denim jeans just got a little less harrowing, ladies.